April Fools' Day is an unrelenting online troll fest these days. Since cats rule all corners of the web, it's appropriate that some of the best viral pranks this year featured cats front and center. Some of the feline-centric jokes this year were so damn good, it's depressing to cat lovers that they're not real, especially in a world where cat cafes are a thing, and anyone's cat can give Grumpy a run for her money. Just pushing the envelope of "it could be real" was a totally genius prank pulled by the Colorado Springs Independent alt-weekly, which actually went as far to put its joke on the cover of its April 1 issue. You can see why some readers took it seriously. 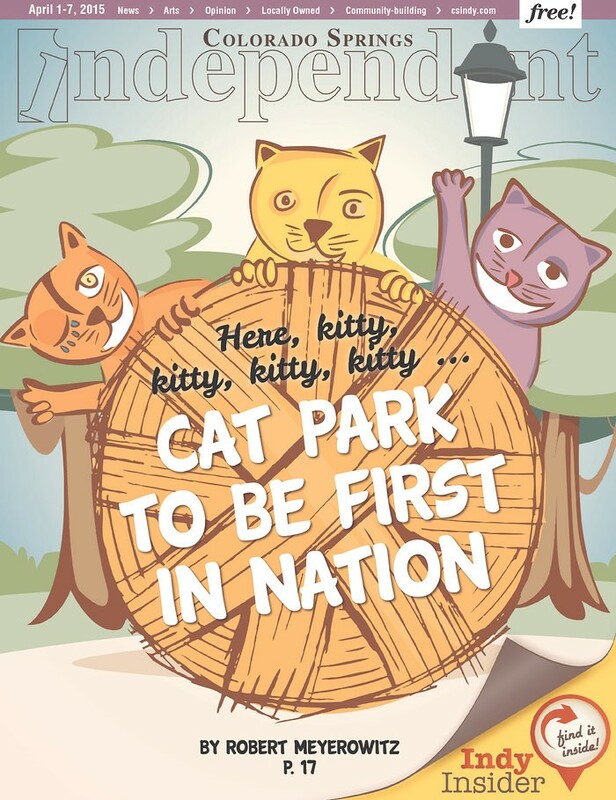 The Independent used the opportunity to make light of an issue facing city developers improving a park site, which has been found to be contaminated with asbestos. 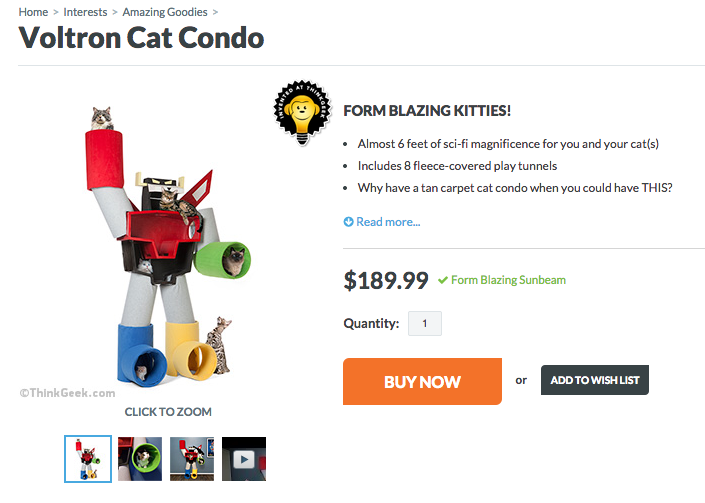 Perhaps the most viral joke this week was the clever ploy pulled off by Groupon: Grouber, an Uber-like ride service that replaced humans with feline drivers and was pitched as a service for Groupon users heading out to redeem an offer. With catchy copy like this, who could resist? Our drivers are spayed, neutered and have no reason to curl up in your lap and make it awkward. Trust us, these cats are cool. And every Grouber experience should be a paws-itive one. Grouber cars are purportedly directed by a red laser beam projected from the front of the car that plots the trip's route, since you know — cats + laser pointers. Grouber from Groupon on Vimeo. As much as both cat lovers and the indifferent laughed and admired the legitimate attempt of these two well-pulled pranks, this next one has no reason to not be real someday. The supposed launch of a cat-proof sofa from Ikea is also something that should and could be real, but sadly isn't, yet. 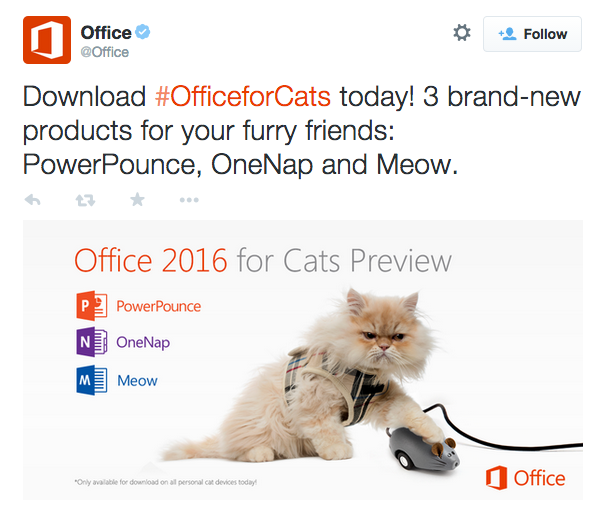 Microsoft got into the game, too, with Office for Cats, a suite of products called PowerPounce, OneNap and Meow. Cats are (for good reason) not being trained to become seeing-eye-pets to guide blind people. Music streaming service Rdio is also not partnering with famous cats to release a new cat-centric music service, Rdio-Meowz.